Some brands have defined themselves or associated their message with specific colors. This can be a powerful and memorable branding strategy, but problems can arise when one brand claims the exclusive rights to a color and prevents others from its use. In fact, there have been a number of legal battles over the proprietary use of colors since the 1980s when the Owens-Corning company launched its “Think Pink” campaign for its pink fiberglass insulation and successfully petitioned the U.S. Court of Appeals to rule that the company had the right to prevent others from producing insulation in pink. Since then, other brands have tried to win the legal rights over their colors with varied results. 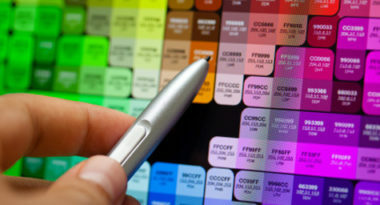 To help advertisers trying to promote color-centric branding, AdAge.com offered the following advice on the use of a shade as the basis for a branding strategy. 1. Choose the Correct Color – Select a color that is not usually associated with the brand’s products to avoid arguments from competitors over their rights of usage. Instead, pick colors based on their emotional properties or their ability to capture attention. 2. Know the Industry – Do not try to gain proprietary rights to a color that serves a functional purpose for the industry’s products or services. Also, think ahead to figure out how the brand’s selected color will complement future products and promotions. 3. Avoid Colors that Ascribe Qualities Competitors Want to Claim – Stay away from colors that attach superiority or overly desirable attributes to a brand since this can lead to competitive arguments about rights of use. 4. Register the Chosen Color as a Trademark – Race to the U.S. Patent and Trademark Office to secure the brand’s rights to a color as quickly as possible since the timing and details of attaining formal protection for the brand can make a major difference if legal issues arise. Always consult with a legal professional before pursuing registration and developing the branding campaign. 5. Integrate the Color Into Compelling Yet Non-Functional Messaging – Take a creative and unexpected approach to incorporating the color into the branding message. This will help capture attention and avoid competitor’s claims over their general rights of use. Color can make an unforgettable impact and convey meaning beyond actions or words. It’s essential that advertisers use colors carefully and be sure that their color connections place a brand in consumer demand and not in competitive danger. To learn how savvy branding can increase your company’s appeal to consumers, contact MDG Advertising today at 561-338-7797 or visit mdgadvertising.com.